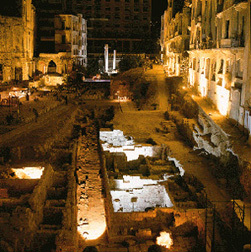 Beirut, the capital of Lebanon, is one of the oldest settlements of man. Around 5000 years ago, it was a prosperous town on the Mediterranean coast of Phoenicia/ Canaan. The Phoenicians called it ‘Beyrouth’: the city of wells. 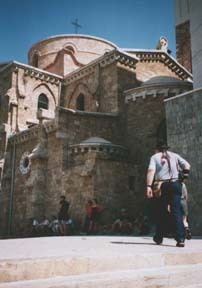 It has a distinctive location on the Mediterranean Sea with dramatic mountains rising behind it. 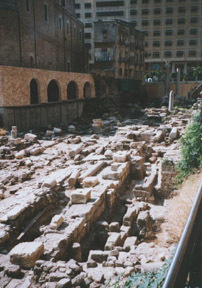 Beirut was also a glorious city during the Roman era where it got the names: Colonia, Julia, Augusta, Felix and Berythus. It was famous for having the first School of Law in history. The golden age for the school was under Septimus Severus (192-212 AD) when it excelled the schools of Constantinople, Athens and Rome. The professors of Beirut School of Law helped draft the famous Justinian Code. 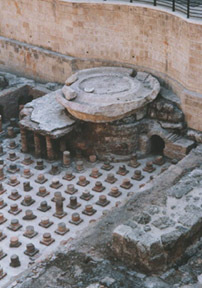 Beirut was hence named ‘Mother of Legislation’. 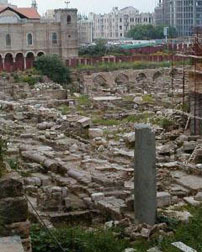 An earthquake destroyed Beirut in 551 AD. A century later the Muslim Arabs conquered it. Then it fell to the Crusaders (1109) and the Mamluks (1291). Ottomans occupied it for 400 years until 1916. Then it was under the French mandate until 1943. Beirut was occupied by Palestinian guerrillas (1981-82) and the Israeli defense army (1982-83), and recently fell to the Syrian troops in 1990. 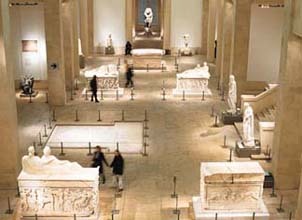 Despite its devastating political history, and the fact that it was completely destroyed 7 times during recorded history, Beirut has been a unique cultural and commercial center for the region. In the 1960’s Beirut was known as “Paris of the Middle East”.